In the 1920s, the respiratory disease diphtheria was one of parents’ biggest fears for their children. In the United States, an estimated 100,000-200,000 cases of diphtheria per year caused 13,000-15,000 deaths, mainly children, in that decade (Wikipedia). Today, diphtheria vaccines have largely eradicated the disease from the United States. In fact, if diphtheria is remembered at all today, it’s because of the celebrated story of a relay by sled dogs and their mushers to deliver diphtheria antitoxin 674 miles away to Nome, Alaska, to prevent a predicted epidemic. The initial relay in 1925 became today’s Iditarod Trail Sled Dog Race. Today, vaccines have curbed the development of many diseases that were once considered fatal, especially in older adults. While some vaccines have side effects, health experts say that the benefits typically outweigh the possible complications of certain illnesses in seniors. Except for people with certain health problems, such as cardiovascular disease, lung disease, diabetes, kidney problems or a condition that weakens the immune system, getting vaccinated is a safer choice than risking illness to obtain immune protection. Consult with your healthcare provider to discuss the advantages and disadvantages of each vaccine for you. Vaccines work by exposing you to dead or weakened disease-causing microorganisms, which causes your body’s immune system to produce antibodies that fight the microorganisms, helping to make you immune to a specific disease. Most vaccines are given through a simple injection, usually in your arm, although some are administered by mouth or nasal spray. Experts recommend four vaccinations for seniors: flu, pneumonia, shingles and a combined tetanus-diptheria-pertussis. The most prevalent vaccine is for influenza, commonly called the flu, a contagious illness caused by viruses. Older people are at the highest risk of developing serious flu complications that require hospitalization; in some cases, the flu can be fatal. Ninety percent of flu-related deaths and more than half of flu-related hospitalizations occur in people age 65 and older. As you age, your immune system weakens, which makes you more susceptible to the flu.Health experts recommend that those 50 or older should receive one dose of influenza vaccine every year, preferably in October or November, before the winter flu season starts. Flu season usually peaks in January or February, but it can occur as late as May. Early immunization is most effective, but it is not too late to get the vaccine in December, January or later. Flu vaccines are needed every year because immunity is short-lived and vaccine manufacturers make updates every year to combat current strains of the virus. If you get the flu vaccine, you are 60 percent less likely to need treatment for the flu by a healthcare provider. Vaccination may also reduce illness, antibiotic use, time lost from work, hospitalizations and deaths. Although the flu vaccine is meant to protect you for one flu season, evidence supports that immunity declines more quickly in older people. Therefore, another flu vaccine option is available—one that contains a higher dose of antigen, the part of the vaccine that prompts the body to make an antibody. Designed specifically for people 65 and older, this alternative is intended to create a stronger immune response. For those worried about the possible dangers, seasonal flu vaccines have a good safety track record (vaccines.gov). The Centers for Disease Control and Prevention (CDC) and the Food and Drug Administration (FDA) closely monitor their safety. As with any drug, mild side effects, such as soreness, headaches and fever, are common. Less common and more serious are severe reactions such as difficulty breathing, hives or facial swelling; for these, seek medical attention immediately. Shingles is an extremely painful and contagious blistering rash, which is activated by the varicella zoster virus, the same virus that causes chickenpox. After a person recovers from chickenpox, the virus stays in the body in a dormant state but can reactivate years later, for reasons not fully known. At least 1 million people a year in the United States get shingles. The zoster vaccine, which scientists developed in 2006, is not guaranteed to prevent shingles, but it can decrease your risk by about 50 percent, or at least minimize its severity. Vaccines.gov recommends that anyone 60 years of age or older get the shingles vaccine, regardless of whether they recall having had chickenpox or not. Studies show that more than 99 percent of Americans ages 40 and older have had chickenpox, even if they don’t remember. Shingles is far more common in people 50 years of age and older than in younger people, and increasing age can result in more severe effects. A shingles rash usually appears on one side of the face or body and lasts from two to four weeks. Its main symptom is pain, which can be severe. Other symptoms include fever, headache, chills and upset stomach. Very rarely, a shingles infection can lead to pneumonia, hearing problems, blindness, brain inflammation (encephalitis) or death. For approximately 20 percent of people, severe pain, called post-herpetic neuralgia (PHN), can continue long after the shingles rash clears up. Its repercussions are more widespread in seniors, affecting up to half of untreated people who are 60 years of age and older. Although the pain from PHN may be debilitating, it usually resolves in a few weeks or months. While any vaccine can carry risks, no serious problems have been identified with the shingles vaccine. Mild reactions can include headache and redness, soreness, swelling or itching at the site of the injection. Infection from pneumococcal bacteria is one of the leading causes of death in the United States from a vaccine-preventable disease. Seniors, especially, are susceptible to pneumonia, which is responsible each year for 60,000 deaths among those over 65. The CDC recommends that people age 65 and older receive a one-time dose of pneumococcal vaccine; those who were vaccinated more than five years ago and were younger than 65 at the time should get a one-time repeat vaccination. Pneumococcal infections, which include pneumonia, blood infections (bacteremia), brain infections (pneumoccocal meningitis) and middle-ear infections, are spread through respiratory secretions, like coughing and sneezing. The disease comes from a type of bacteria called Streptococcus pneumoniae (pneumococcus) found in many people’s noses and throats. Pneumonia symptoms include fever, cough, shortness of breath and chest pain. In addition to redness, pain and swelling at the injection site, vaccine side effects may include mild fever, fatigue, headache, chills or muscle pain. Tetanus, diphtheria and pertussis, all caused by bacteria, can be very serious, for adolescents as well as adults. Before vaccines, the United States saw as many as 200,000 diptheria and pertussis cases annually and hundreds of tetanus infections. Since vaccination began, tetanus and diphtheria have dropped by about 99 percent and pertussis by roughly 80 percent (CDC). The Tdap vaccination covers all three diseases. The tetanus bacteria enters the body when cuts, scratches or wounds come into contact with contaminated soil, dust or manure. Tetanus, also known as lockjaw, affects the nervous system, causing painful muscle tightening and stiffness, usually all over the body. In some cases, you can’t open your mouth, swallow or even breathe. It can be deadly, particularly for older people, killing approximately one out of five people who are infected. Because the immunity from past tetanus shots eventually fades, ask your doctor if you are due for another vaccination. Diphtheria is a respiratory bacterial infection that spreads from person to person through coughing or sneezing. If left untreated, it can cause airway obstruction, coma and death. Although both tetanus and diphtheria are rare in the United States today, people who become infected often have severe complications. Pertussis, also known as whooping cough, produces severe coughing spells, which can cause difficulty breathing, vomiting and disturbed sleep. The illness can also lead to weight loss, incontinence and rib fractures from coughing. Up to 2 percent of adolescents and 5 percent of adults with pertussis are hospitalized or have complications, which could include pneumonia or death. Seniors are increasingly getting pertussis, possibly due to dwindling immunity. You should get the Tdap vaccination as a one-time booster, regardless of when you received your last tetanus-diphtheria vaccine. Side effects include redness or swelling at the injection site, headache, fatigue, fever, nausea, vomiting, diarrhea and stomach ache. View this article in the May 2014 Senior Spirit newsletter. Older adults looking for alternatives to traditional senior housing options, such as retirement homes, can enjoy both the independence and involvement that cohousing offers. Cohousing consists of a community of people who want to live adjacent to each other and participate in activities together while also having their own place to call home. Members share communal property while owning their houses or condos. Cohousing, averaging 20 to 40 units per community, comes in many forms. In multigenerational cohousing, families and residents of all ages, including seniors, inhabit the same communal space. A more recent development is cohousing just for older adults. Generally, cohousing has a common kitchen, dining area and sitting area that provide a place for members to gather and eat or socialize. The whole development is often built around a central area, such as a park, playground or courtyard, that all can use. Cohousing is not for those who would rather sit back and have someone else manage their living complex. Collaborative living can be a lot of work, especially when making group decisions. Unless started by a developer, cohousing residents often design their own complex, even choosing the materials, and run the community by consensus. As is inevitable with any group of people, conflict is common—everything from how to allocate members’ dues to where to build the sauna. Reading the blog of a man who helped start Wolf Creek Lodge, a senior cohousing community in Grass Valley, Calif., you get a sense of the hands-on nature of this process (“Community Building at Wolf Creek Lodge,” Bob Miller, Feb. 17, 2013 Cohousing Association of the United States). Wolf Creek residents formed cleaning teams that look after common areas such as the patio, stairways, guest rooms, kitchen, dining room and sitting room. A landscaping team created two new vegetable plots and planted a third. Two members built a community compost area. The plan is to share five meals together a week in the community building, prepared by cook teams consisting of two to four members. Community meetings cover various topics. Members met recently to formulate a policy for letting outside groups use their common dining room, kitchen and living room. A “very informal ‘coffee club’ meets every morning around 8 a.m. to solve worldwide political issues and jeopardize their health with sticky buns and leftover dessert. This is clearly an area with opportunities for improvement,” Miller writes jokingly. Members designed Wolf Creek Lodge to be environmentally green. The lodge includes passive solar heating and cooling, in-floor radiant heating powered by a common boiler, solar hot water and immediate walking access to trails and stores. In 2012, California Governor Jerry Brown endorsed the concept of cohousing as a more sustainable living environment. Many seniors opt for cohousing because they don’t like living alone, whether in their own homes or retirement centers. With cohousing, you can’t help but be involved; it might be helping to decide if the community should get Wi-Fi or taking your neighbor to the grocery store because she can no longer drive. In a shared space and lacking a staff, residents are more likely to check up on their neighbors and care for each other. At Silver Sage Village, a cohousing unit in Boulder, Colo., residents range in age from 50 to 80, ensuring that the “younger” adults can take care of the older ones. Different from intergenerational cohousing, many senior communities cater to the needs of older adults. At Wolf Creek Lodge, for example, all homes are single level, have guest rooms for visiting children and grandchildren, are located near two sizable shopping areas, have a reserved suite for a potential caregiver, provide a hot tub rather than a swimming pool and have a low-maintenance environment. The Wolf Creek Lodge blog emphasizes that the “senior communal dining experience will be mature and the living room peaceful, a daylong community environment,” as most members are retired and can expect to be around the common areas for much of the day. Seniors who want to downsize and save money will find that most cohousing communities can satisfy on both fronts. Cohousing residences are typically 60 percent smaller than an average new American home, occupy 30 percent less land and use 50 to 70 percent less energy for heating and cooling than a resident’s previous home (“In Retiree Housing, Talking About Multigenerations,” March 12, 2013, New York Times http://www.nytimes.com/2013/03/13/business/retirementspecial/retirees-choose-intergenerational-cohousing.html). Members can also save money by sharing work or kitchen tools. 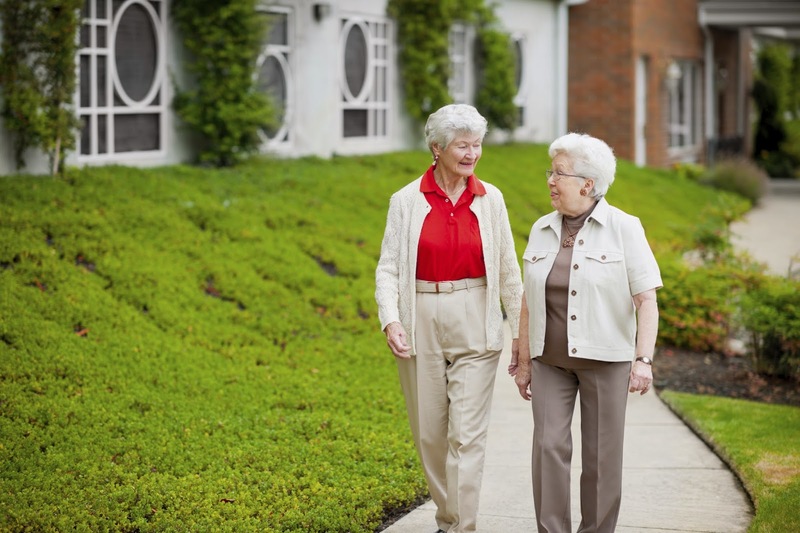 Not all seniors want to be segregated with other older adults. One woman, 95, chose intergenerational cohousing because “it’s logical to have people of various ages together” and was worried she’d hear too many people “complaining about their complaints” in a senior housing setting. The arrangement has value for younger residents, too: Children who don’t regularly engage with older folks, perhaps because grandparents live far away, learn what elders have to offer and what the end of life looks like, a valuable lesson in a culture that tends to shunt its older people off to the sidelines. Resident assistants (typically college students) at the Chicago intergenerational housing live on-site and assist residents with housekeeping and laundry, as well as sharing creative and social activities with them. “Having opportunities for peer companionship helps eliminate feelings of loneliness and isolation,” according to H.O.M.E. (“Intergenerational Housing,” Housing Opportunities & Maintenance for the Elderly). In Portland, Ore., a public/private partnership uses intergenerational cohousing to help older adults contribute to society while aiding adoptive families. Bridge Meadows offers families who have adopted three or more children a four-bedroom house at below market rate, which is often difficult to find for large adoptive families. At the same time, the organization provides 27 one- and two-bedroom apartment units for people age 55 or older who meet low-income requirements. Seniors at Bridge Meadows act as surrogate grandparents and mentors to the children and families who live there. They are required to volunteer at least seven hours per week teaching arts and crafts, giving music lessons, leading story hours or taking the kids to the park (“Intergenerational Ingenuity: Mixing Age Groups in Affordable Housing,” August 28, 2013, Urban Land Institute). View this article in the March 2014 Senior Spirit newsletter. Being constantly and profoundly tired without relief over a long period may indicate a serious condition that is often misdiagnosed in older adults. This article addresses what life is like for someone with chronic fatigue syndrome. 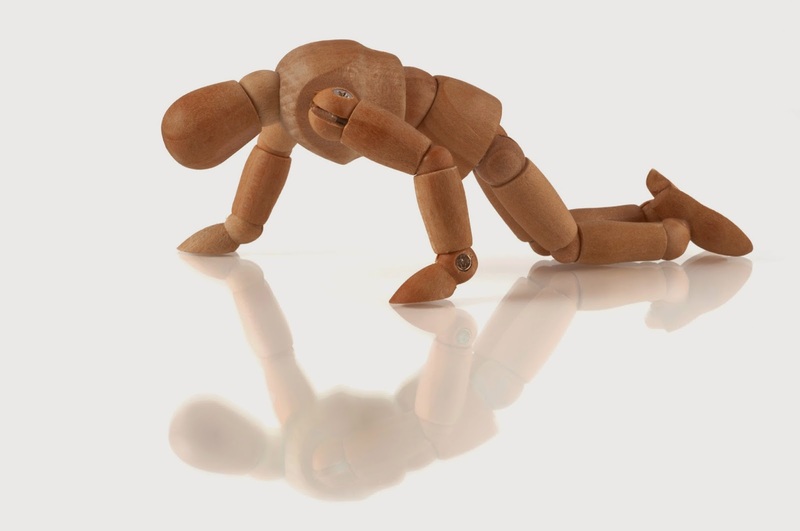 Fatigue is a common complaint that people of­ten report to their doctors, and usually there is an identifiable cause. However, those who have been experiencing extreme fatigue accompa­nied by other symptoms for six months or longer may be suffering from Chronic Fatigue Syndrome (CFS), also known as myalgic encephalomyelitis (ME). Chronic fatigue syndrome is a debilitating and complex idiopathic disorder characterized by extreme fatigue that is not improved by bed rest. It can’t be ex­plained by any medical condition, and there is no sin­gle test to confirm a diagnosis of CFS. For people living with CFS, being fatigued is much more dramatic than just feeling tired. The exhaustion they experience can’t be relieved by rest or managed by a change in diet. And people with CFS are often unable to carry out their activities of daily living. What demographic is affected by CFS? Typical­ly, it can occur at any age, and although it is most prevalent among those thirty to fifty years of age, it also presents in people over fifty. Older CFS patients demonstrate very different disease characteristics and symptoms than younger patients, and are more se­verely affected. Differing underlying issues and the physiological aspects of aging have a greater impact on older patients. It is a disease that’s too often misdi­agnosed in older adults. In an interview published by Phoenix Rising (El­lis 2013), a nonprofit organization supporting people with CFS/ME, Julia Newton, Ph.D. clinical profes­sor of aging and medicine at Newcastle University in England, talked about whether CFS in older adults is different from CFS in younger people. Now in her sixties, Wilhelmina Jenkins has lived with the disease most of her adult life. A widely regard­ed spokesperson and face of CFS, she has shared her personal story before national organizations, research and nonprofit groups, and Congressional and public policy briefings about her experience living with CFS. She appeared on a segment of the Oprah Winfrey show about diseases that doctors miss or misdiagnose the most. In 1983, Jenkins was a mother of two, and a graduate student working on her Ph.D. at Howard University, when she began to feel unwell. The origi­nal diagnosis for the profound fatigue she experienced was Epstein-Barr syndrome. As symptoms worsened, she somehow persisted until she was finally diagnosed with CFS. Her life was forever changed. Jenkins grew up in Washington, D.C. where her mother was a chemist at the National Institutes of Health. Jenkins’ intellectual prowess was evident from an early age—she was a Presidential Scholar and vale­dictorian in high school, among other distinctions. In1995, Jenkins testified at a Congressional hear­ing to bring awareness to public-policy makers. Her comments were included in the Congressional Record, May 12, 1995. “Americans of every age, race, and gender are liv­ing with the devastation of chronic fatigue and im­mune dysfunction syndrome. This illness, which robs us of our independence, our sense of self, and our con­trol over our bodies and our lives, truly must be seen as a national crisis. Today I am totally disabled. I have been completely unable to work. I am incapacitated by an array of symptoms of which ‘fatigue’ is only a small part. For me, the cognitive dysfunction, which accompa­nies this illness has been the most heartbreaking. Now I am often unable to read the simplest books, and, even when I can read, I may forget the content of what I have read almost immediately. I met Jenkins for the first time in 2012 in Massa­chusetts, although I’d known about her for more than fifty years. She had traveled there from Georgia for her niece’s wedding. It was during those several days that wrapped around the wedding festivities that we came to know each other. She knew about my prac­tice as a geriatric care manager, and our conversations turned to aging. My questions opened the door to extended discus­sions about CFS. It happened that Jenkins’ daughter-in-law, K. Kimberly McCleary, the former president and CEO of the CFIDS Association of America, was also there and shared much information about CFS. For example, someone with CFS, and especial­ly older adults, can easily be misdiagnosed as having mild cognitive impairment, dementia, or some form of Parkinson’s. Jenkins was first diagnosed with Epstein-Barr, which until recently has been better known and un­derstood than CFS. Epstein-Barr, like CFS, has a relatively short research life and was only discovered as a virus in the 1960s (Epstein et al. 1964). Jenkins explained the difference between Ep­stein-Barr and Chronic Fatigue Syndrome and the best way to distinguish CFS from other conditions with similar symptoms. This included what is called post-exertional relapse or post-exertional malaise. The CFIDS Association defines this condition, which affects the majority of people with CFS, as an exac­erbation of symptoms following physical or mental exertion, with symptoms typically increasing twelve to forty-eight hours after activity and lasting for days or even weeks. Post-exertional malaise and exercise intolerance, though not unique to CFS, may help to distinguish CFS from other disorders. The malaise returns even after limited physical ac­tivity such as shopping or cooking, or mental exertion like reading a book or writing a check. 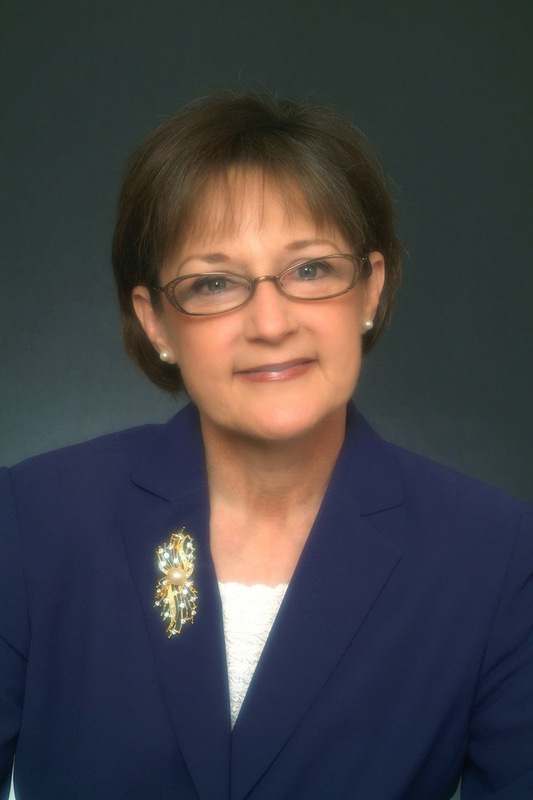 In spite of her “good and bad days,” Jenkins’ ad­vocacy continues. She speaks to groups throughout the U.S. when she is able. 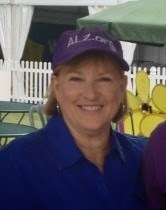 She attends church when she is able, and is the area contact for a support group in Georgia. But when she expends energy she has to build in time to recharge. Hers is very different from the average person’s recuperation time. She never knows how a physical or mental activity will affect her. She just expects that it will. Information about CFS is available from the CFIDS Association of America. The association focus­es on education, research, and public policy. Founded in 1987, it is the largest organization dedicated to chronic fatigue syndrome and immune dysfunction syndrome. The CFIDS website includes the informative “Ten Discoveries about the Biology of CFS” by Anthony Komaroff, M.D. (2007), a widely respected authority on the disease. CFS is more than just being tired. The fatigue is not relieved by rest. Adult women are more likely to get CFS than men or children. No diagnostic test for CFS exists. According to Jenkins, one of the worst aspects not often mentioned about CFS is isolation, “… a conse­quence of having a chronic illness that no one fully understands. It is a spirit-breaking illness. It is a heart­breaking illness,” she says. The research continues, but so far there have been no positive results, and some that claimed success were false. In 2009, CFS received international atten­tion when two scientists reported in a medical journal that a mouse retrovirus was present in a large number of people with chronic fatigue syndrome, suggesting a possible cause of the condition. However, further stud­ies proved this was not the case. The New York Times (Tuller 2012) reported on what turned out to be a false claim, and the finding was officially discredited. According to the CFIDS Association of America, CFS affects men, women, and children of all ages, ethnic, and socioeconomic groups. Current commu­nity-based surveys estimate that over 800,000 U.S. adults have the illness, yet only about 10-20 percent have been diagnosed. The Centers for Disease Control and Preven­tion website says, “More than one million Ameri­cans have CFS. This illness strikes more people in the United States than multiple sclerosis, lupus, and many forms of cancer. Irene V. Jackson-Brown, Ph.D., CMC, CSA is a certified geriatric care manager and founder of The Art of Eldercare in Washington, D.C. Her article, Chronic Fatigue Syndrome: When Being Tired Takes Over Your Life, was recently published on page 14 of the Spring 2014 edition of the CSA Journal. Studies have shown that tai chi, an ancient martial art, can significantly reduce depression in elderly adults. In fact, exercise in itself can be as effective in lifting spirits as taking anti-depressant medication. Exercise is not the only non-medical alternative that helps combat depression. In January, two senior facilities in Ohio received grants for music programs. For one hour each week, a facilitator leads residents in singing and playing instruments. The program has proven effective in counteracting depression and loneliness among elderly populations, particularly those in senior-living environments. Says the director, “The results were phenomenal. Both residents and staff witnessed immediate, positive behavioral changes and an increased sense of community among the participants” (January 13, 2014ThisWeek Community News). Although winter is on its way out, continuing frigid temperatures, snow and shorter days can cause the blues if people can’t get out of their homes or if day after day it’s cold and gray. Some people suffer from post-holiday blues since their adult children left and contact is limited due to busy schedules. There are many causes for depression, which affects about 6 million Americans age 65 and older. However, it’s important to differentiate clinical depression from normal sadness and grief. Generally, sadness is a temporary condition caused by a significant life change, such as a serious medical diagnosis, giving up the car keys or a death in the family, and is often alleviated as time passes and people adapt. This is not true of depression. Fears and anxieties about dying, financial problems, health issues or issues affecting children or grandchildren. Symptoms of depression should be reported to your health care provider, who can first rule out other problems that could be causing fatigue or low motivation, two signs of depression. (For other symptoms of depression, see sidebar). Conditions such as heart attack, stroke, hip fracture or macular degeneration, and medical procedures such as bypass surgery are often associated with the development of depression. Ongoing medical conditions such as Parkinson’s disease, multiple sclerosis and diabetes can also be factors. Hypothyroidism—caused by an underactive thyroid gland—is the most common medical condition associated with depressive symptoms. Even prescription medications, including sleeping pills, tranquilizers, painkillers and blood pressure and arthritis drugs, can cause depression. If medicine is a factor, you or your family can speak with your health care provider to explore different medications/therapies. Upon diagnosis of depression, health care providers often prescribe antidepressant medications, most commonly selective serotonin re-uptake inhibitors (SSRIs) such as Prozac. While medication is one route, recent studies have found that SSRIs can cause rapid bone loss and a higher risk of fractures and falls. Likewise, “natural” alternatives such as St. John’s wort and SAMe are available; however, herbal supplements may interact. Research is showing that, in many cases, healthy lifestyle changes, such as exercise, can be as effective as antidepressants in relieving depression, and without dangerous side effects. The following are some simple but effective ways that may help you get out of a funk. Exercise. Physical activity has powerful mood-boosting effects, increasing feel-good chemicals called endorphins. You don’t need to run marathons to benefit; just walking around the neighborhood a few times a week can help. Even if you’re frail or disabled, many safe exercises from a chair or wheelchair can improve your mood. Get support. Depression can be hard to beat on your own. Enlist the help and support of people around you, especially family and friends. Don’t be ashamed to admit you’re depressed or feeling blue. One of the most effective ways to deal with depression is to talk about it. If that’s not possible with those who are close to you, seek out a support group so you can connect with others going through the same challenges. It’s important not to close yourself off from the world because being alone with your own thoughts (often negative) will usually make the situation worse. Try to socialize as much as possible. Consider visiting your local church or joining a book or other social club. Go online. Even if you can’t get out and meet people, research has shown that connecting with others via the Internet—whether through email, Facebook or other online access—can reduce depression in senior citizens. Volunteer. If you don’t feel capable of reaching out to help others face-to-face, consider volunteering your time to sort groceries for the local food share operation or to organize books at the nearby library— something to get up, out and going. Your town’s humane society might need volunteers to walk dogs or visit with cats. Some research links being around pets to improved mood (see “Pet Therapy Barking Up the Right Tree,” Senior Spirit, Feb. 2014). By volunteering, you connect with something beyond yourself and boost your positive feelings. Have fun. That may not sound easy when you’re depressed, so you might have to work at it. Plan activities you’ve enjoyed in the past, whether it’s going for a car ride, shopping or watching a favorite uplifting movie or TV show. Smiling and laughter may help cheer you up. If you have hobbies that bring you joy but that have fallen by the wayside, take them up again. Be proactive. Feeling powerless is a sign of depression, and one way to overcome that feeling is by making choices, even if it’s something small like establishing a routine for the day; this can empower you because you’ve created structure in your life. Also, to feel a sense of accomplishment, set goals for yourself, even something as simple as cleaning out the closet. Having a sense of purpose in life is an indicator of positive mental health, and this becomes more important as people age. Add meaning to your life by visiting a lonely neighbor, praying for an ill friend or encouraging your neighbors to recycle more. Eat healthy. There is no magic diet that fixes depression, but some evidence shows that foods with omega-3 fatty acids, such as salmon and tuna, and folic acid, such as spinach and avocado, help ease depression. Get enough sleep. Not getting enough sleep can worsen depression. To achieve a good night’s rest, you might need to make some changes in your daily schedule. Experts advise going to bed and getting up at the same time every day. Try not to nap. Remove all distractions from your bedroom—no computer or TV. In time, you may find your sleep improves (see “Benefits of a Good Night’s Sleep,” Senior Spirit, March 2013). Think positively. Negative thoughts often lead to more negative thoughts. One way to counteract this is to mentally list all the good things in your life, whether it’s the ability to see the sun rise every morning or enjoy a meal with a friend. Gratitude is one of the known ways to pull yourself out of a bad mood. Be grateful for what you have and what you can do and try to minimize what you don’t have or can’t do. Try something new. As difficult as it might seem when you’re lacking energy, pushing yourself to do something different can help get you out of a rut. A change can start small, like making yourself something unusual for breakfast, taking an unfamiliar route to the grocery store or visiting a new restaurant. Learn a new skill, like drawing or playing the guitar. View this article in the April 2014 Senior Spirit newsletter. If You Don’t Have a Senior, Maybe You Should Get One! Join the Society of Certified Senior Advisors for the May Educational Webinar, If You Don’t Have a Senior, Maybe You Should Get One! This webinar will be presented by Beanna Whitlock on Tuesday, May 13, 2014 at 12:00 PM (MST); 2:00 PM (EST). Tax filing for 2013 has just concluded with many wanting to know how they can lower their tax bill for 2014. CSA’s will learn about the benefits of claiming dependents and the various scenarios as to whether the Senior claims a dependent, claims themselves or someone else can claim them. Special circumstances allow many who support the Senior to choose who gets to claim them. And, it is worth a nice sum of money. Addressing the issue, determining the criteria and finally discovering the benefits of having a Senior as a dependent will enhance the knowledge and value of the CSA. View past educational webinars offered by the Society of Certified Senior Advisors.